Energy & Metals Consensus Forecasts™ is the result of a comprehensive monthly survey of over 40 of the world’s most prominent commodity forecasters covering over 30 individual commodities as listed below. 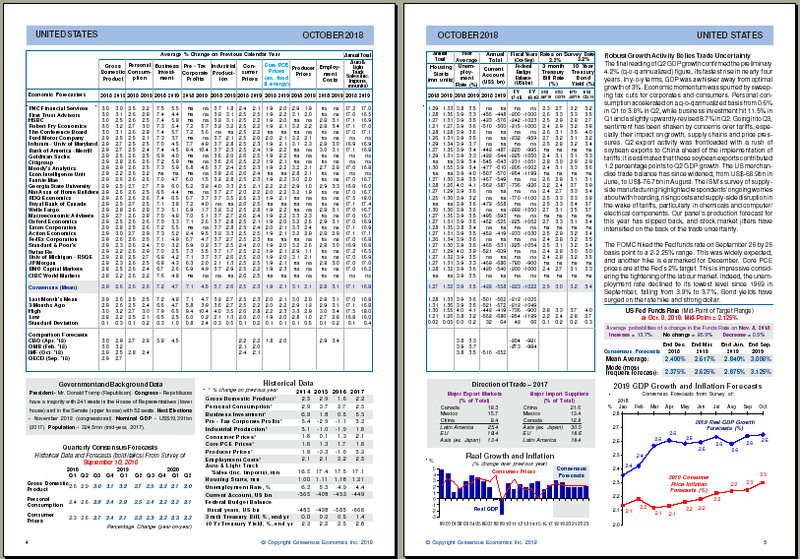 In addition, Consensus Forecasts™ are included for: Cobalt, Manganese, Molybdenum, Rutile, Ilmenite, and Zircon. Over 20 years of historical forecast data (back to 1995) from prior surveys is also available in Excel format. Please contact us and request our two page description of this product and its pricing. Plus our publications include: the Macroeconomic Outlook, Commodity Price Indices, Cash Forecasts vs Futures, Commodity Consumption and Production Volumes Forecasts and Special Analyses and Surveys. Recent special surveys (conducted every other month) include Commodity Price and Currency Correlations, Factors Affecting Commodity Prices, Seasonal Price Patterns, to list just a few.